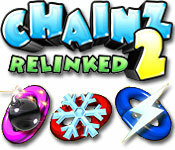 Chainz 2 Relinked is rated 4.0 out of 5 by 6. Rated 5 out of 5 by wiggsieann from REALLY XERCISES MY BRAIN !! This is a puzzle I never tire of. I've played it for a very long time. In the beginning for me it was just a video game which was relaxing and fun. 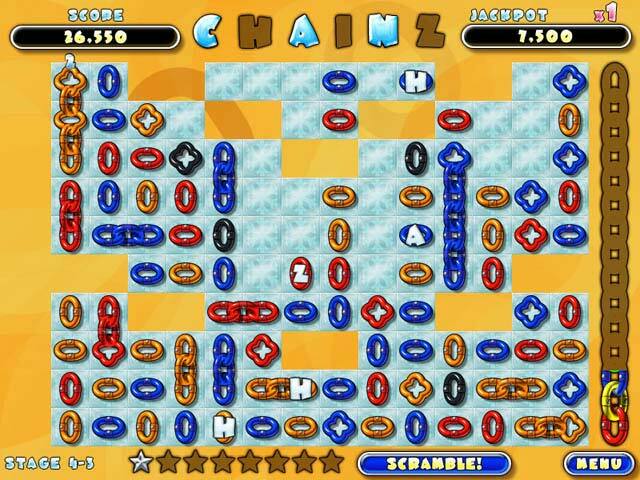 But the longer I play it, the more I see ways in which to create the Chainz. Finding and absorbing these new ways to link provide endless fun for me. And I really believe that it is improving my brain! 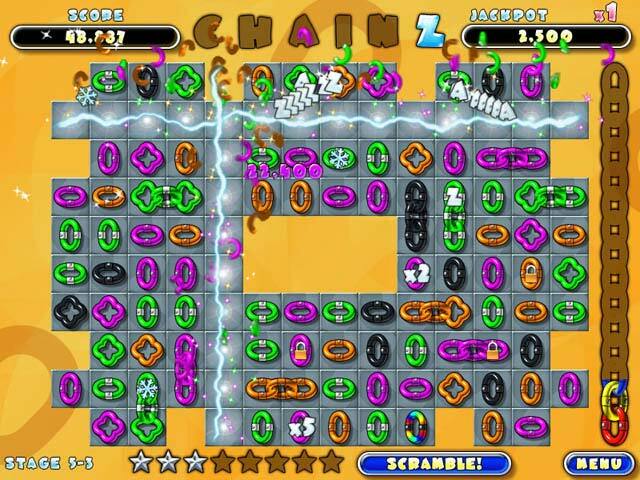 Rated 5 out of 5 by doggiemom12 from Chainz2 Relinked Even after many months I still play this game almost daily. Love it. Rated 4 out of 5 by campingramps from Links, links and more links They call this a match 3 but it isn't in the regular sense. What you have to do is rotate the links to make chains of at least 3. There is no swapping or hints which is ok. You have to reach your goal or I guess something happens if you don't. I don't know because I have always hit the goal. Graphics are great and colors are nice and bright which I like. Music is of the jazz genre and I find it pleasant and easy to listen to. I have played the complete demo and now I have to decide if I like it enough to buy. Haven't tried all the game modes yet so I may use a credit and get it. I highly recommend this one because it is a good leisurely game to play and fun for the kids too. Play the demo and decide. Have fun! Rated 3 out of 5 by mrm2006 from Not Much Improved in this Match 3 Not much has improved from the last game in this series. EXCEPT, it's supposed to be "match 3 or more" but it's nearly impossible to make a match of more than 3 because as soon as you have 3 linked the links disappear. So, theoretically, you could have a chain of 10 links in the making but as soon as 3 link up, they're gone. I really didn't care for that. The music is fine, not annoying. The sound fx are okay as well. I just didn't care for the game play. I was bored. Nothing special re bonuses. It was just an ordinary game. I like my match 3 games to be a bit more than just ordinary. This isn't a game for me but I will recommend it to beginners and especially to those who LOVE strategy because, again, this game is about strategy and speed. Happy Gaming! Rated 2 out of 5 by FebruaryBaby from I'm so disappointed in Chainz 2 Been on level 9 now for months!! Sorry I ever bought this game and have no intention of every playing again. 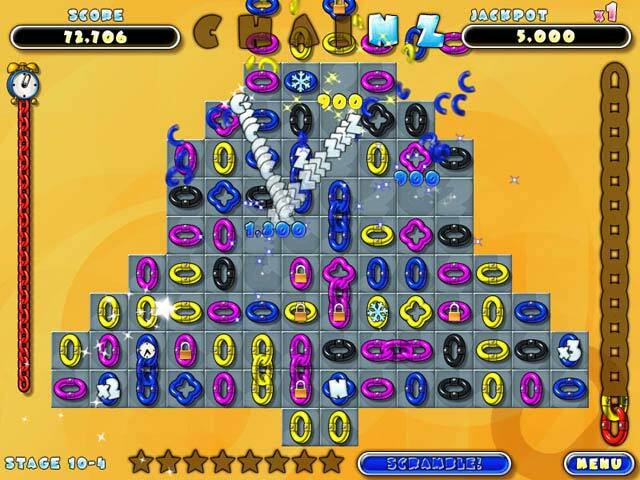 There is absolutely no reason why they had to make level 9 so difficult that it takes months (possibly years) to complete. I'm on to bigger and better things instead of wasting my time on something that may never happen. Would not recommend at all.